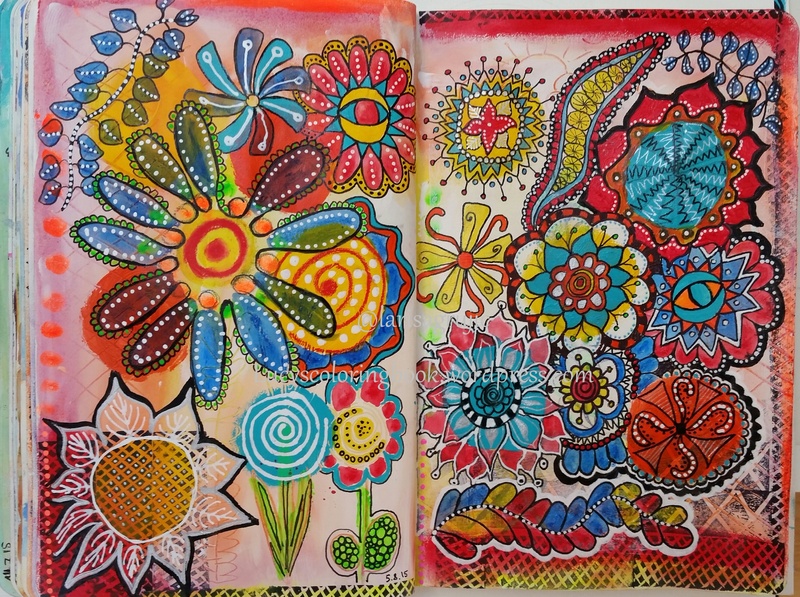 Since some time ago I developed the habit of art journaling every morning after getting up. I cannot say how happy it makes me and how I look forward to starting every new day. In my last post I decided to depart from my habit of sharing what happened in the previous week at least from time to time and to devote a whole post to one topic. 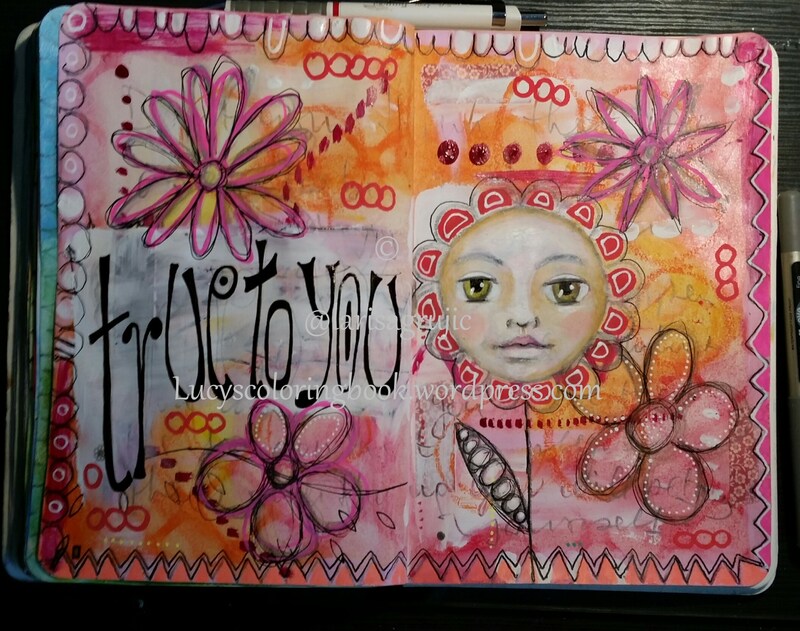 Today it will be my morning practice of art journaling. 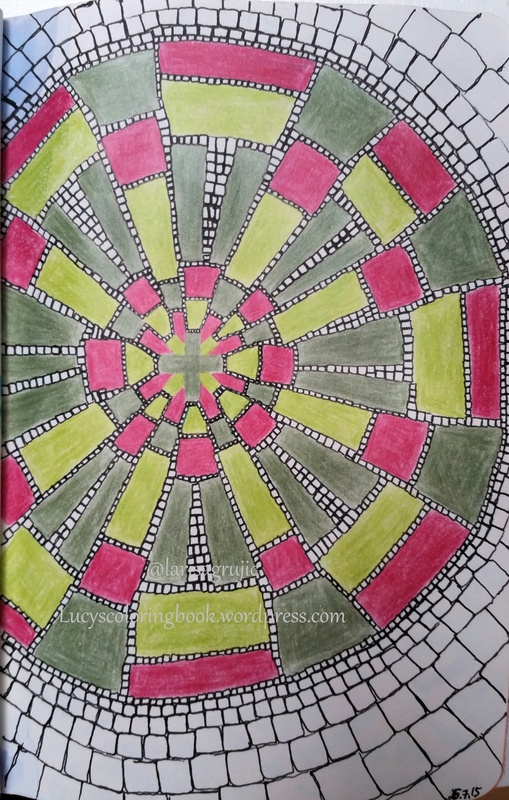 I try to keep my spreads very intuitive, so I never start with a concrete idea on my mind, but rather just grab the color that catches my eye first and start covering the blank page. 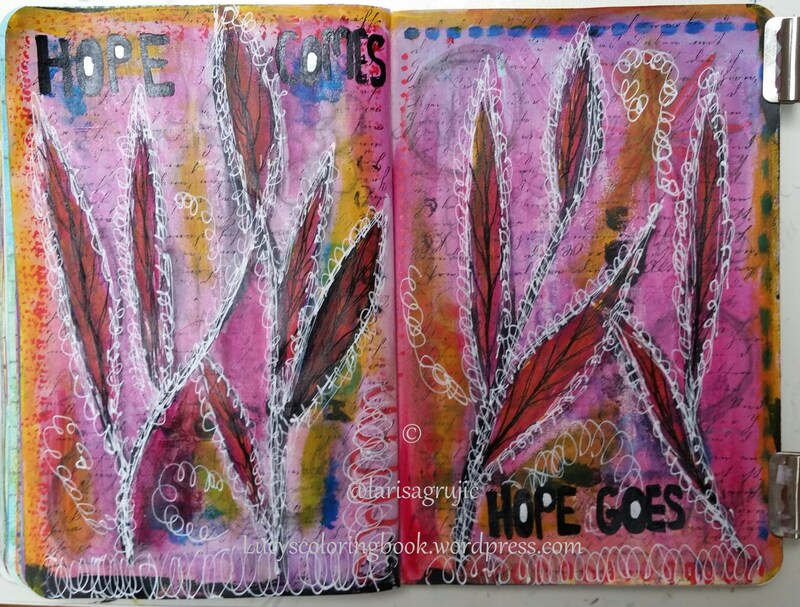 Then I use other colors, just as I feel like, some gesso, and then I write with a pencil on the wet paint and gesso, which gives beautiful texture to the page. 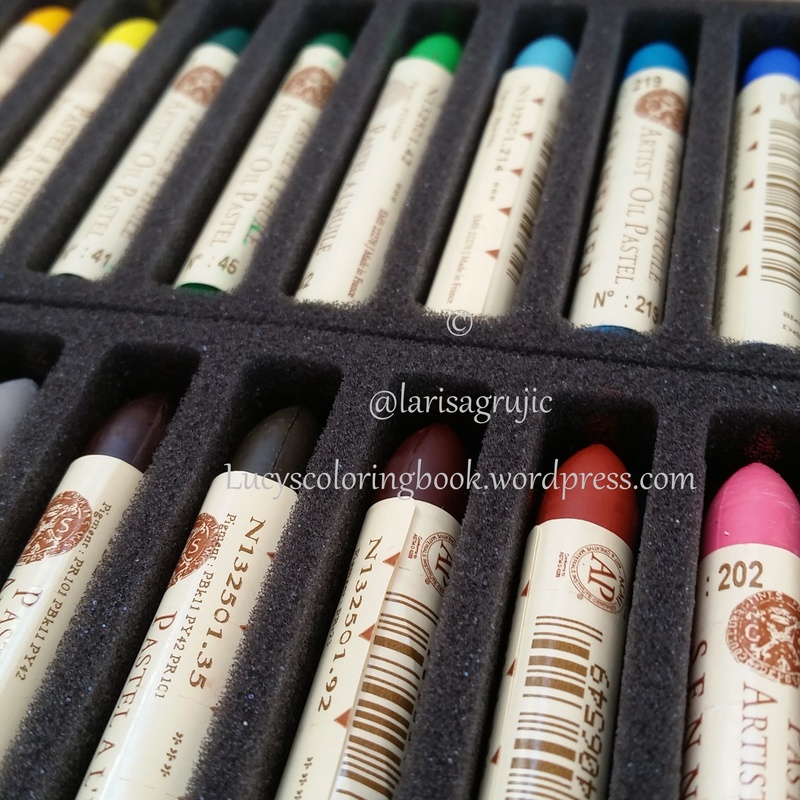 Then I use stencils, stamps, markers, more pencils. 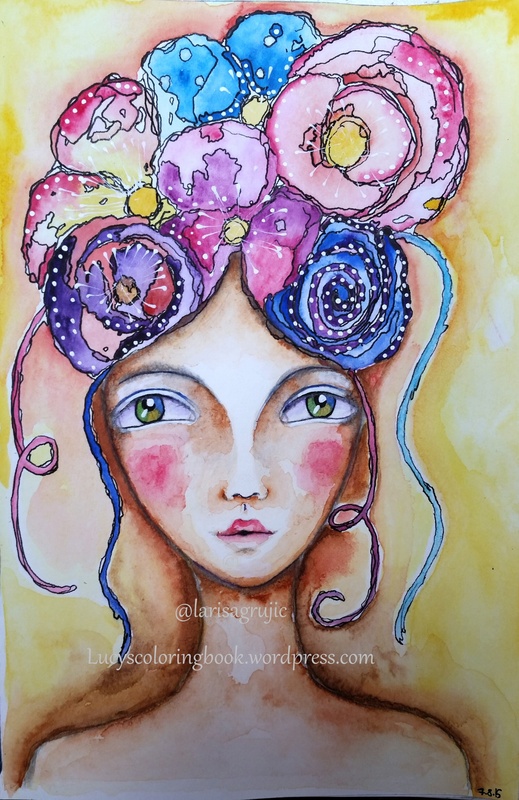 Often I draw a face or two, sometimes just something abstract or a floral motive. 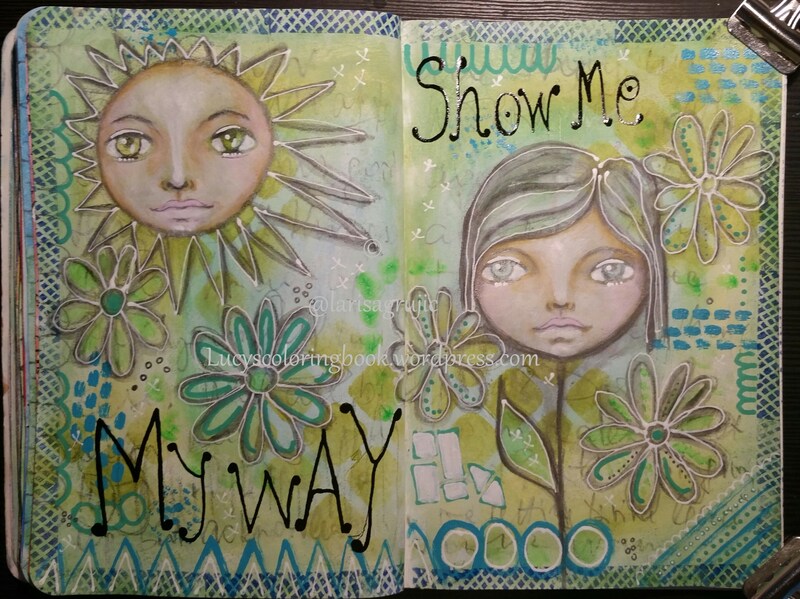 I used Gelatos, gesso, stencil, chalk markers, pencils and acrylics. 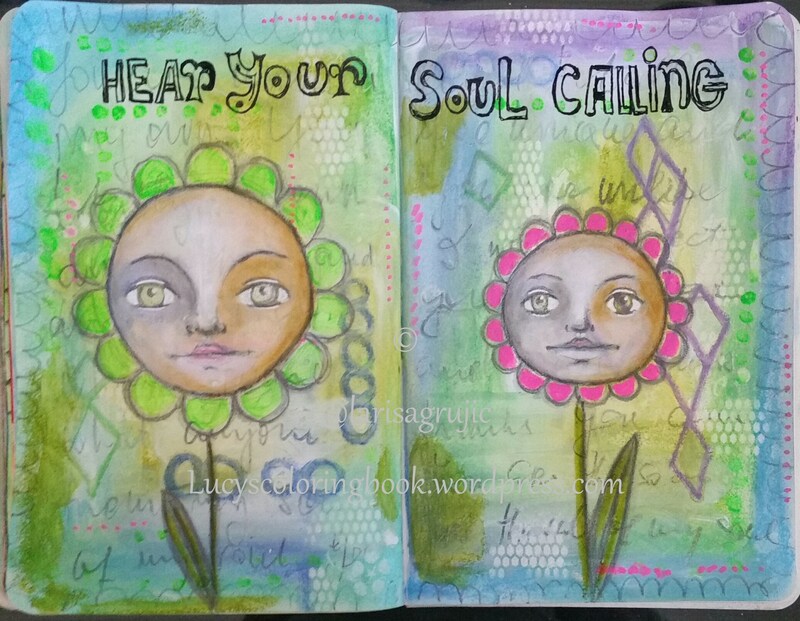 The main theme was my thinking about my journaling process and how it is important to listen to your inner voice in order to make the page really yours and not just a copy of someone else’s. 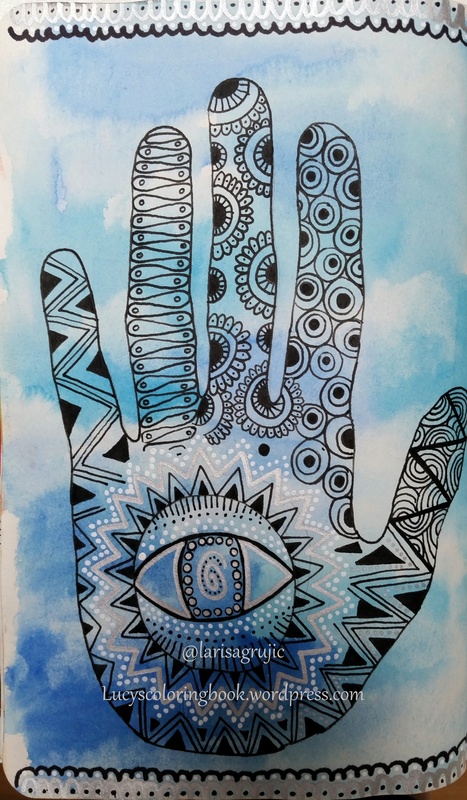 This one is also with the same general theme and same materials. 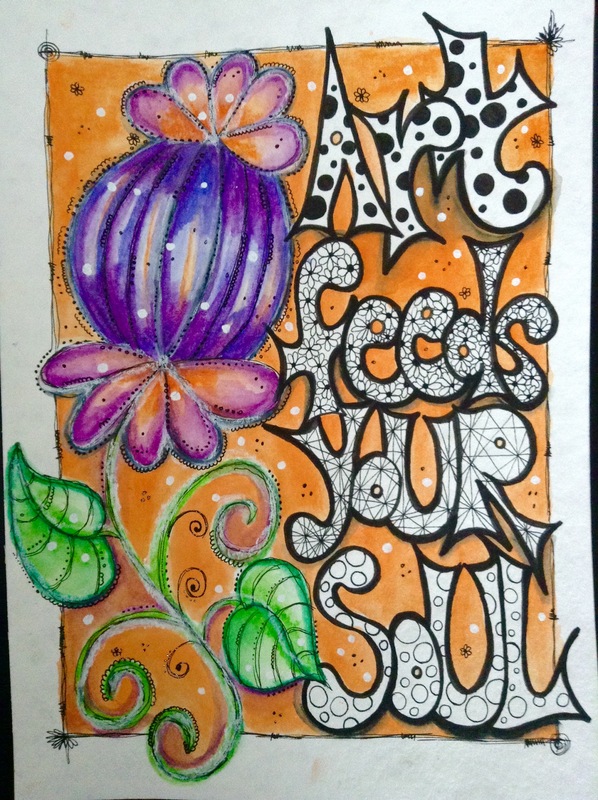 In this one, I used a hand carved stamp for the border and Sakura glaze pen for lettering. 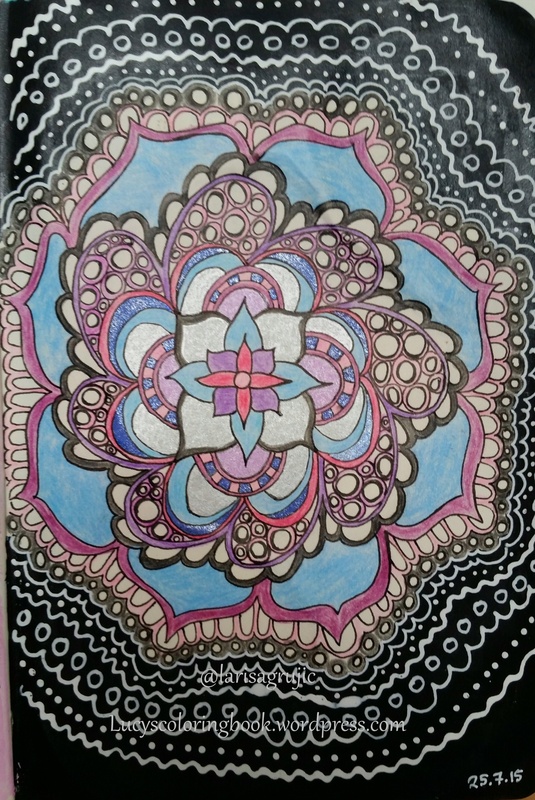 This one is without the face and I felt quite upset for a reason, which is really visible in the way I journaled. It’s not the one I look at with pleasure, but it’s an important part of the process of working my feelings out and documenting what happens on the way. Here I realized I am being too hard on myself, hence the message. 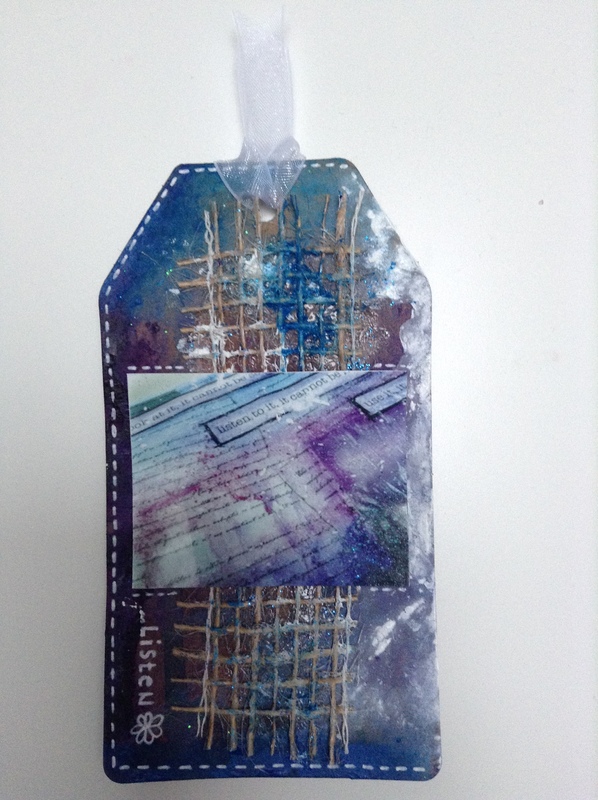 I used cut outs of photo paper on which I tried alcohol inks over the stencilled floral motive in gel medium. It’s exciting to see how the ink flows in the paths that stencil makes. I love this one. 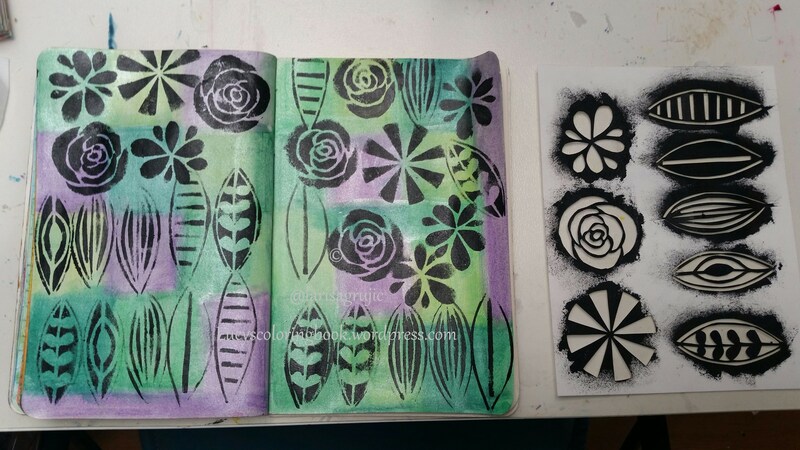 One morning I decided to cut out some new stencil with botanical motives and I used Neocolors activated with iridescent medium as a background and then stencilled over with the acrylic paint. Later on I wrote in the space between the shapes, but I did not take a photo of it. And finally, this one was inspired by the quote prompt we got in a group with Effy Wild. 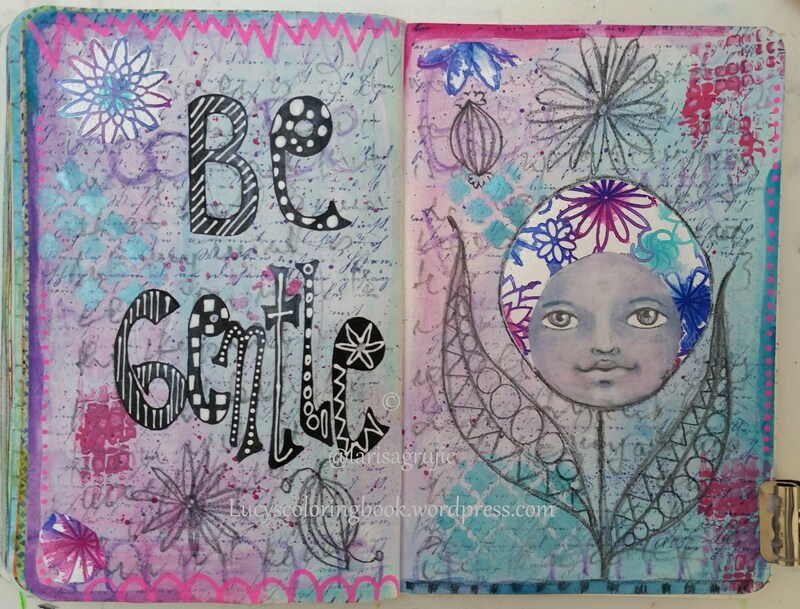 Used my new stencil again, and another stencil, Gelatos, black pen, white pen, acrylic paints, and chalk markers. This next piece is another lesson, which was, of course, about lettering and choosing a summer message. 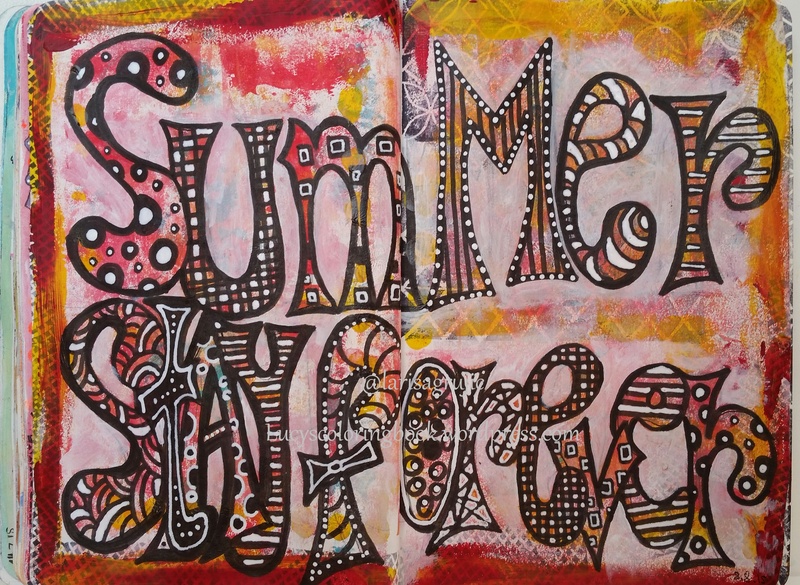 I was not very inventive with the message, but I though Summer stay forever would do :). 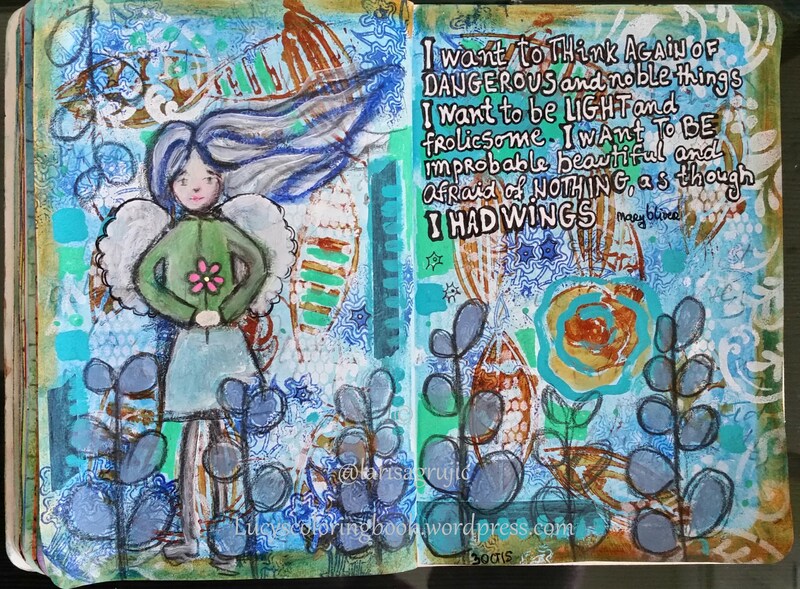 I made it over pages where I tested some hand-made stamps, which contributed to texture. I quite enjoyed this. And finally the last page I did for the school, which was all about doodling again, but this time the challenge was to do some field journaling. 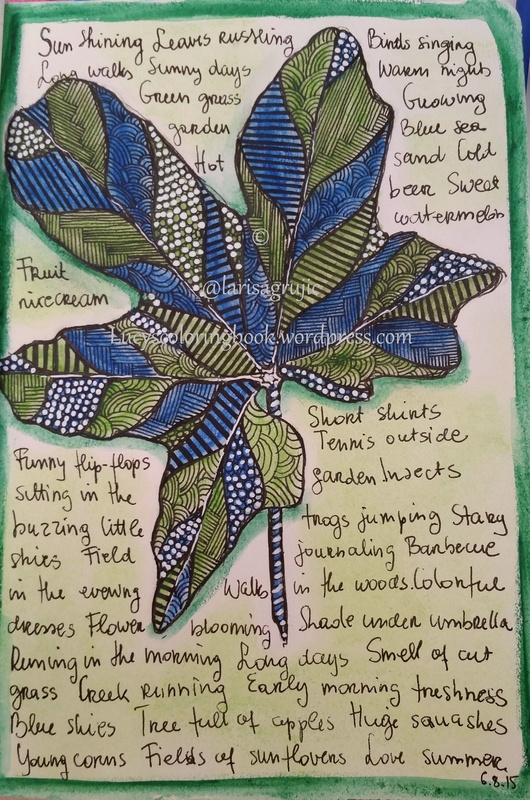 I collected lots of leaves on my morning walks and sketched them in a journal (which was promoted to “my field journal”) and then I copied this particular leaf on this page and voila! The writing is supposed to describe what I am grateful for at that moment. 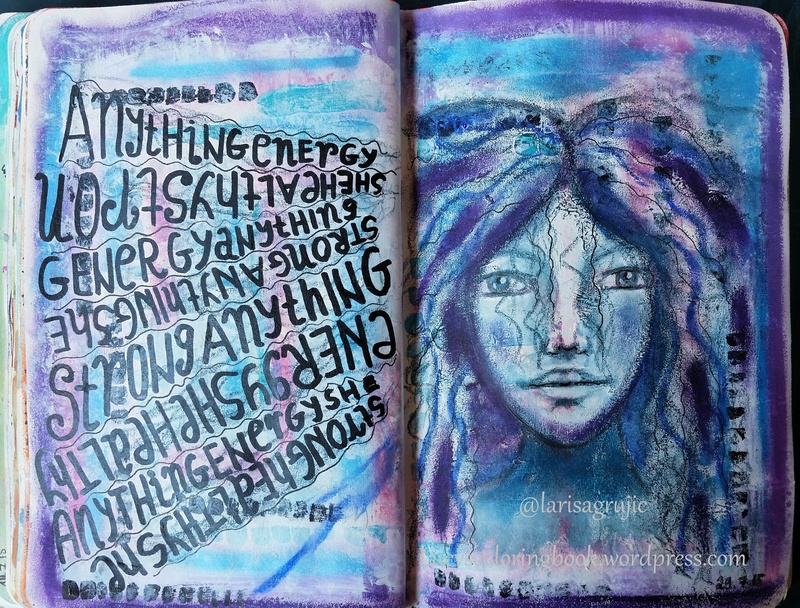 I made it more general (because I did not feel so grateful at the moment to fill the whole page), so I wrote things that I am grateful for in the summer 🙂 I really loved this exercise, and I think I will do more, in my field journal, of course.